In the past century different technologies have been used to generate light. Nowadays insect traps, fluorescent lamps are used to generate the so much wanted UV-A light. Pending on the type, producer and specifications, these lamps can be operated with an efficiency of up to 33%. 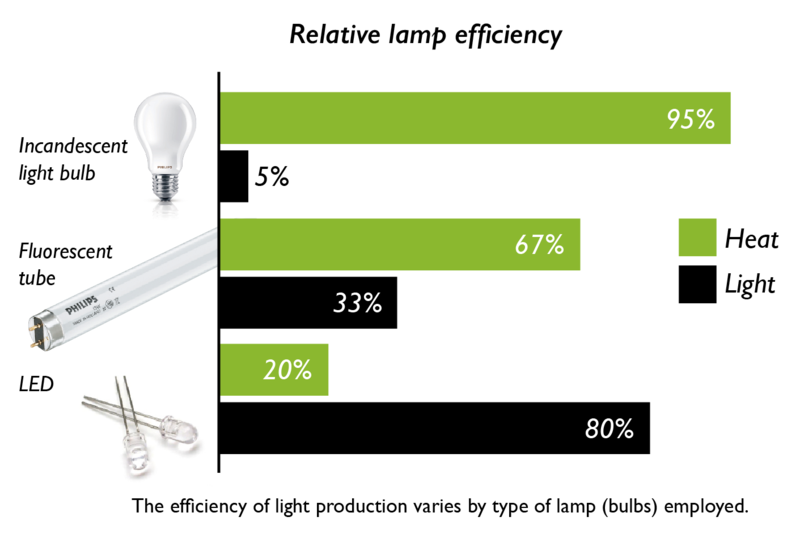 The commonly found 15 watt UV-A lamp is able to convert up to 33% of the incoming energy into light. This light needs to be divided in the undesired and non-effective visible light (blue light) and the much desired and invisible UV-A light. have shown that day insects and night insects experience light differently: Whereas day insects (diurnals) need a strong UV-A signal to lure them into the light trap, night insects (nocturnals) only need a fraction of this UV-A light. • During night time the UV-A light is automatically reduced to only 10% of its nominal capacity, which still offers still the same reliable control on night insects, without the loss of efficiency.